This chapter explains how bounces can be pulled from email service provider along with an example implemantation for SAP Digital Interconnect. To get a general idea about what we try to accomplish, first a short overview of the bounce interface of the generic ESP adapter and the corresponding API of SAP Digital Interconnect will be given in this section. A full interface definition can be found in Integration Guide SAP Marketing Cloud Generic Email Integration. Describes the start time of a time frame in which the bounces to retrieve have occurred. Describes the end time of a time frame in which the bounces to retrieve have occurred. For very long result lists, most ESPs do not send back all results in a single response but in multiple pages of about 100 results. This parameter determines which page of the result list should be retrieved. The first page is always queried by sending a page value of 0. Identifies the system which send the HTTP request. As most ESPs, SAP Digital Interconnect provides its own individual API for communication via HTTP requests which will be described in the following section. However, this section only considers the endpoints and properties relevant for the presented scenario. 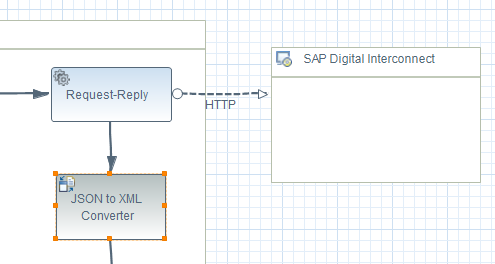 A complete overview of SAP Digital Interconnect’s HTTP API can be found here. Digital Interconnect describes its result packages as ‘groups’, thus the ‘groupIndex’ property determines which result packages should be retrieved like SAP Marketing Cloud’s page property. In contrast to SAP Marketing Cloud’s implementation, the first page/group is always queried by sending a page value of 1. This property is a user defined identifier for a group of notifications. "channelStatusText": "ERR - 554 5.4.7 [internal] exceeded max time without delivery"
"channelStatusText": "NOMB - 550 Requested action not taken: mailbox unavailable"
The property ‘groupCount’ in Digital Interconnect ‘s responses mark the total number of packages for the requested time frame. Therefore, the last package is reached as soon as the values of ‘groupIndex’ and ‘groupCount’ are identical. The picture below shows the structure of the HCI iFlow used to enable the communication between SAP Marketing Cloud and SAP Digital Interconnect for the collecting bounces scenario. In the following sections, the different transformation steps within the flow are discussed in detail. With this configuration, the complete endpoint URL depending on the used HCI Tenant reads as: <HCI Tenant iFlow URL>/http/hybris_esp/bounces. After saving and deploying the configuration, a GET request to the specified URL should return with status 200. In the field Address, the respective endpoint of SAP Digital Interconnect for collecting bounces has to be entered. If the endpoint requires some kind of authentication, the respective settings can be defined in a seperate authentication object which has to be maintained in field Credential Name. In case of the presented scenario, an authentication object with the user name and passwort of an internal SAP Digital Interconnect account has been created. More information regarding authentication objects can be found Authenticating from SAP Cloud Platform Integration. This job is done by a script node called “Prepare Request” which has been inserted between the start event of our iFlow and the “Request-Reply” event that send the GET Request to SAP Digital Interconnect. In order to retrieve the digits that represent the page/groupIndex number within the parameter string, a regular expression is used. This expression stores the one or possibly two digits following in the substring groupIndex into a variable which is then increased by 1. When all parameters have been modified, the new query is stored in the header of the GET Request. After this, the modified message is sent to SAP Digital Interconnect. As soon as the response from SAP Digital Interconnect is given back to HCI, subsequent modification steps can be done. First of all, the reponse body is converted from JSON to XML. This step is necessary, because most of the message transformation nodes of HCI only work for XML content. At the end of the iFlow, before returning the message to SAP Marketing Cloud, a reverse conversion to JSON will be applied. In the meantime, the following steps are performed. While performing the property mapping, it is also possible to assign additional logic like arithmetical operations or string manipulations by clicking on a connector. In the bounce scenario, this has been done for mapping pairs groupIndex/page and groupCount/lastPage. Since the page count logic of SAP Digital Interconnect is different than the one implemented in SAP Marketing Cloud, we substract 1 from groupCount while mapping it to property page. At the same time, the values for source properties groupIndex and groupCount are compared in order to determine if the last page is reached. If yes, the target property lastPage is set to true, otherwise to false. Before routing the message to the previously presented message mapping node, it has to be checked if there are any values in the result set bounces coming back from SAP DI. The reason for this is a known bug that causes the HCI to crash if an empty array is given to the mapping engine. The method simply checks whether the value for entity bounces starts with a bracket “[“. If this is not the case, the whole statement is enclosed in brackets and given back.